…that trace the soul’s journey from conception, birth, childhood, maturity and, finally, enlightenment. The Pesach Seder celebrates our Biblical odyssey from slavery to redemption. Yet this masterpiece of a ritual also engages the equivalent sequence on both the cosmic and personal scales. On seder night, in Mitzrayim, at midnight, our Neshama level of soul touched ground and we fused into a collective entity greater than the sum of its parts. Yet only the lowest edge of that soul actually integrated back then. The rest of it assumed a hovering position surrounding from above. As we grow and evolve over the millennia, more and more of that hovering soul fits into our newly expanded collective-self. And so every seder night, the next increment of surrounding Neshama that we need to absorb this year, touches crown and begins to enter. This happens for us as a people vis a vis our collective soul, and it happens for each of us individually with regard to our personal soul—the parcel of consciousness that we must integrate in the course of our days. 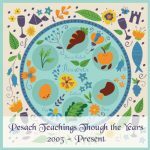 The Pesach seder engages all of these fronts: 1) It tells the tale of our historic redemption and, via its Fifteen Stages, it 2) hints to the soul’s journey from conception to enlightenment that happens collectively in the course of history, as well as 3) individually, incrementally, in the “rebirthing” that occurs for each of us on seder night. These Fifteen Stages of the Seder are simultaneously, the fifteen steps this “newborn soul” will take in its earthly journey from conception to enlightenment. In these first two stages of the Seder (Kadesh and Urchatz) we (metaphorically) conceive the new level of soul (and consciousness) that we will integrate this coming year. Kadesh brings down the neshama (nefesh elokit), Urchatz raises the sparks comprising the nefesh chiyunit and a conception occurs. These two are the only stages of the seder joined by a ו (an “and”). They are the aba and ima that initiate this evening’s process. Kadesh (Holiness) – קדש = Neshama that is pure and untarnishable. The sefira of chokhmah (aka aba) pulls down the אורות, the mini equivalent of the neshama (nefesh elokit) which is absolutely pure and holy (קודש). These holy lights will unite with the sparks that are pulled up from below (in urchatz), and a new increment of consciousness is conceived by their union. Karpas – כרפס = Young sprout. Youth with its agonies and ecstasies. The peak experiences that alternate with mistakes, stumblings and sins. Our katnut (our narrow, constricted, childish, know-it-all consciousness) is endearing (maybe) but it sure gets us into of trouble. Yachatz – יחץ = The inevitable fall from grace—loss of innocence. The ordeal that drives us to grapple with its unwelcomed reality and to find a way to recover our “peace.” In so doing we grow and wisen which (from HaShem’s perspective) was the point of it all. Magid – מגיד = Healing begins when we reflect on our path, our decisions, their consequences, the nature of life, and the point of it all. We tell our story. But as our understanding deepens our story changes. We engage in a kind of narrative therapy—we describe ourselves to ourselves in a healthier, truer, more spiritually productive way. Rachtza – רחצה = We really can (and must) do teshuva. We really can repent. We really can clean ourselves from the damage done by our bad decisions and wanton sins. Teshuva is potent. Motzei – מוציא = Acknowlegement of higher power. HaShem is working through my life. Eleven of the 39 malachot of Shabbat have to do with bringing bread from seed to table. We invest huge amount of labor and then thank G-d for bringing bread from the earth. Whatever we do, it is G-d’s doing. Matzah – מצה = Seder night is the only time of year when it is a mitzvah to eat. Yet eating is much more than taking food into one’s mouth. Eating happens whenever a person feels a sense of lack and takes something from the outside to fill that lack. The mitzvah of eating matzah heals our grabbing instinct. We bring new light into that layer of soul. Our desires align with spiritual law and our growth in that direction is the Jewish path of enlightenment. Maror – מרור = Remorse. The charata aspect of the teshuva process. Really acknowledging experientially that wrong action only brings suffering (to myself and others and HaShem). When we finally see who we really could be (who we really are in our unmanifest potential) we feel remorse for the ways we undermine ourselves. Korech – כורך = Capacity to bear paradox: Healing bread and bitter herb. There is a dilemma halachicly of whether to lean (like a free man) or not with the sandwich: it’s matzah so, yes! ; it’s maror so, no!. Faith in the future (redemption), pain over the past (suffering and wrong action). Faith that God is good. But pain that the present hurts. The exile was awful—but it was actually concealed good (and now I see how it was a blessing in disguise). Shuchan Orekh – שלחן ערך = hamtaka. Using everything in the way it should be used in order to best serve the Creator and Designer of it all. Tsafun – צפון = Afikoman. Facing our shadow and finally becoming whole. We don’t complete this stage until we figure out, what is the most spiritually productive way to deal with enemies. Barech – ברך = Blessing HaShem for the healing resources he brought into our life. For orchestrating our healing path. For wanting, allowing, assuring, and enabling us to heal. Hallel – הלל = Thanking and praising HaShem for it all—for the concealed good as well as the revealed. For the ordeal and its redemption. Our life becomes a shir chadash—a song of praise and celebration. Nirtza – נרצה = The deepened relationship with HaShem produced by this cycle of growth. It is the sweetest pleasure and makes all the back-breaking, soul-crushing descent into exile absolutely, without a doubt worth its while. The consciousness acquired in the process gives us a whole new capacity to know G-d and that, itself, is the deepening, for the intimacy of a relationship in its essence, comes from seeing and being seen, knowing and being known. 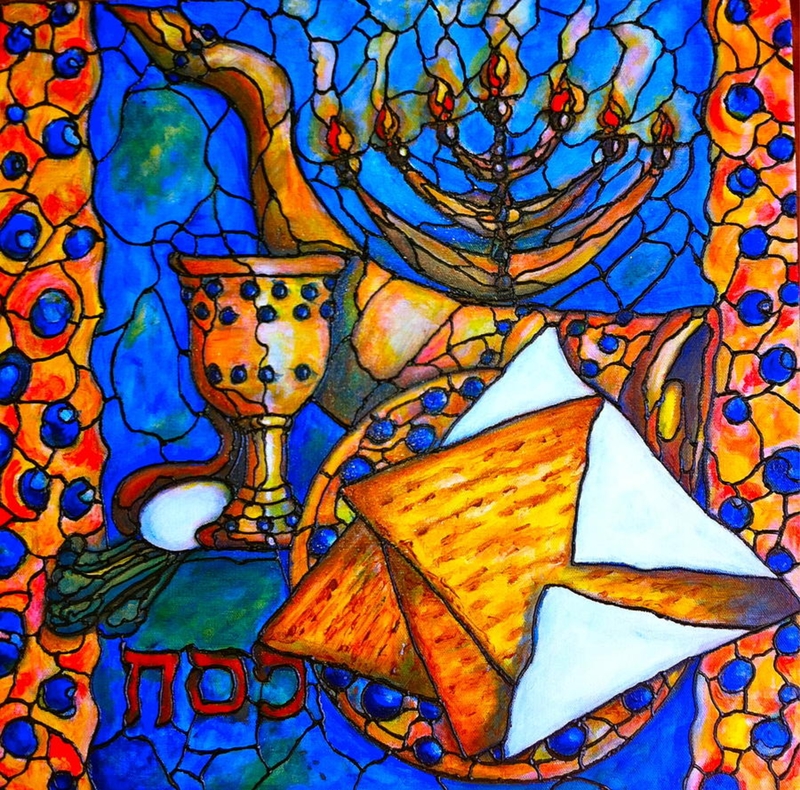 I want to bless us as individuals, as a people, and as part of the larger world community, that we should, through our holy Pesach Seder, carve out the channels that will enable our newborn lights to integrate with ease expanding our capacity to see truth, choose good, serve God and celebrate redemption. [Kabbalisticlly the gematria of דם (blood) is 44, which is the gematria of the backside of the name אהי-ה, one of the names that associates with Binah, the cosmic womb of the mind].